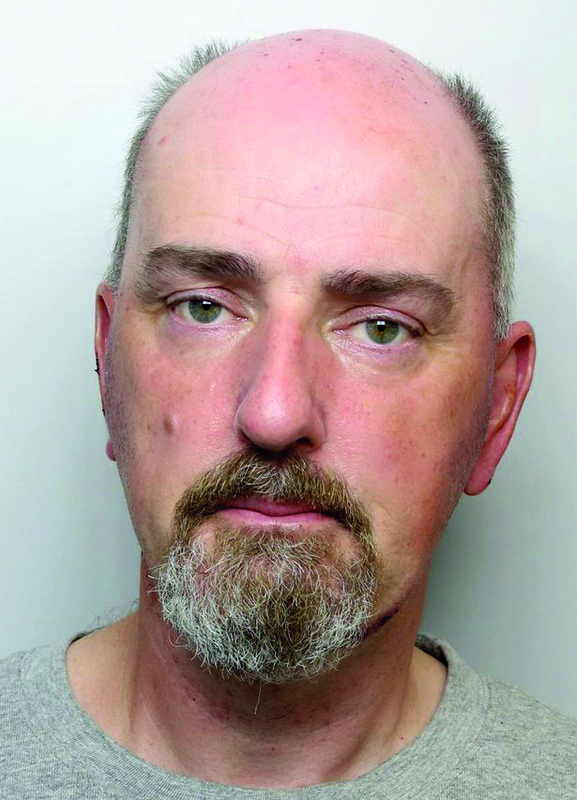 Thomas Mair has been jailed for the brutal murder of Labour MP Jo Cox. But serious questions about the police approach to a fascist group remain. The specialist police officers who raided his home found collections of Nazi material, including information on how to shoot a victim and details of historic political assassinations in the UK and Norway. 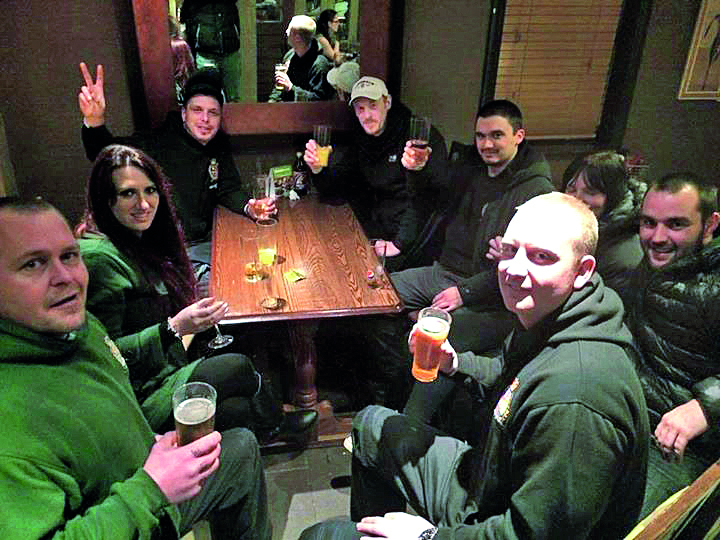 The court heard about some far right groups who were active in Yorkshire – but not a single word about Britain First. This rang alarm bells for those who have monitored Britain First as it filled the vacuum left by the failed English Defence League. 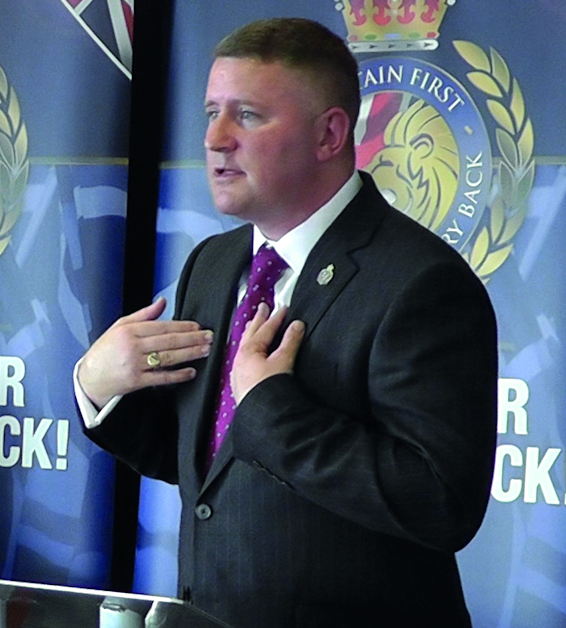 Paul Golding, leader of Britain First and a one-time British National Party councillor, has spent the past three years building up, often by sleight of hand, what he claimed to be a major anti-Muslim activist organisation. Golding told the media, who were often sucked in by his lies, that he had ten of thousands of “likes” online. Nobody really challenged this to ask if these were real supporters or whether he was buying masses of hits. Two years ago Golding declared war on the Muslim community in Tower Hamlets. His main aim was to create tension between the local Muslim community and non-Muslims. He also laid claim to the idea that he was some sort of Christian leader, fighting the evils of Islam. 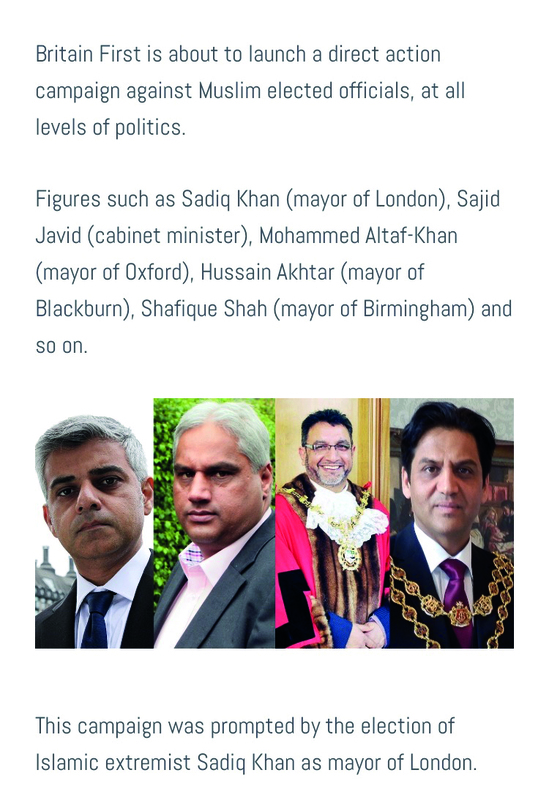 Golding took his footsoldiers and an armoured vehicle he was using as a mobile command post, and ran a message on his website declaring that Britain First would go to Brick Lane – the heart of the East End Bengali community – to confront local Muslims and defy their dislike of drunkenness in public places. Golding said his activists would resist if they were told to leave the area. He further declared that they would go on to the East London Mosque in Whitechapel and accost the congregation, which often includes schoolchildren. That evening a recording of Golding’s threat was sent to Scotland Yard and was placed on the desk of the deputy commissioner of the Metropolitan Police. But no action followed. The attempts to cause fear at the mosque increased and still nothing was done. More recently Britain First’s squad of Nazis were back at the mosque, headed by someone carrying a huge cross. The mosque, including school visitors, was under siege. Led by Rev Alan Green, from east London’s interfaith forum, local supporters of the mosque placed themselves in front of the doors, in the way of Britain First. When the Nazis pushed their cross forward, Rev Green told them they were not Christians but haters. At that point the police escorted the Nazis away. 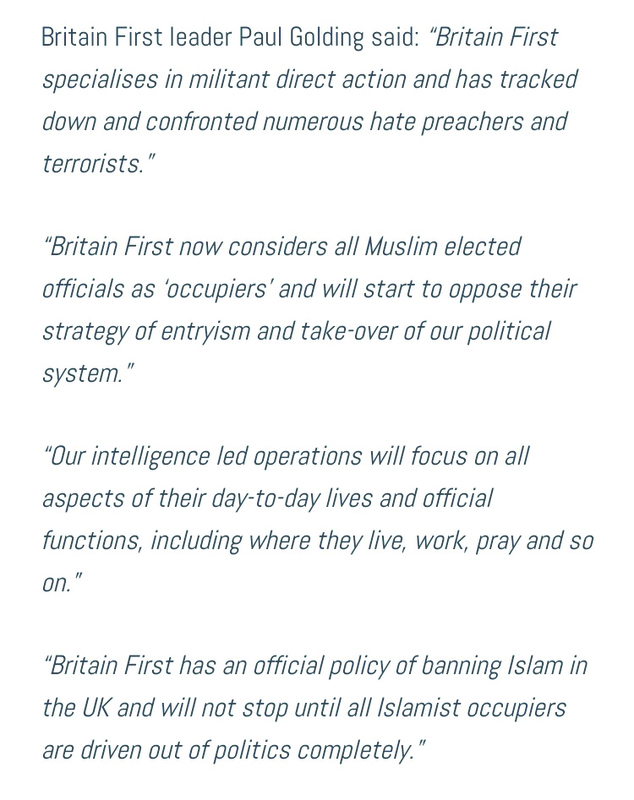 On 24 May 2016 Britain First issued a Nazi-style threat against elected Muslim politicians and their allies – we reproduce parts of this document here (see screenshots, above). 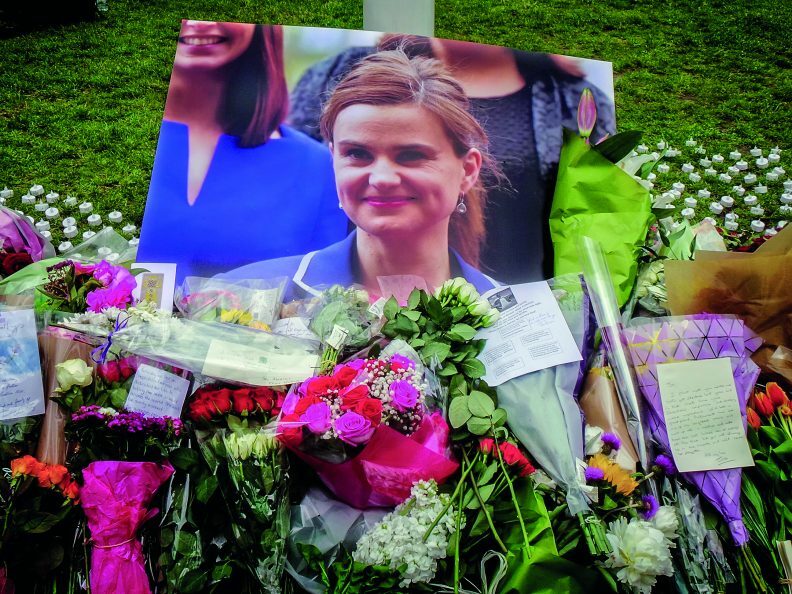 On 16 June, Jo Cox was killed by a Nazi shouting “Britain first”. Early the following week, Searchlight handed a copy of this document and two photos to Met Police commissioner Sir Bernard Hogan-Howe and his deputy, Craig Mackey. Why was no action taken against Golding for his recorded threat to go on the offensive in Brick Lane and at the East London Mosque? Why was this evidence not used to show a premeditated criminal offence? Why were Britain First allowed to seriously harass Muslim communities up and down the country before the Home Office finally placed a ban on them carrying on such activities after Jo Cox’s death? Why was the document with the open threat to key Muslim politicians and their allies not in the hands of the SO15 Counter Terrorism Command as soon as it was sent out? What was done with the copy of Golding’s call for action which was handed to the Met Police commissioner and his deputy within a few days of Jo Cox’s murder? Will charges of incitement to violence be brought against Golding? It came as no shock that Golding suddenly stood down from the leadership of Britain First on the first day of Mair’s trial, in favour of his deputy Jayda Fransen. When will Golding face a charge of incitement? When will somebody with responsibility and authority respond to these questions?